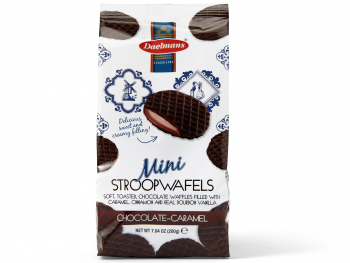 Our delicious mini stroopwafels are the perfect snack size! 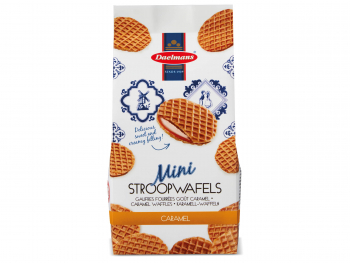 We fill the toasted wafers with a creamy and buttery syrup filling, enriched with natural Bourbon vanilla. 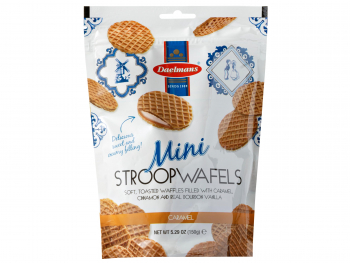 Most importantly, they are simply delicious! 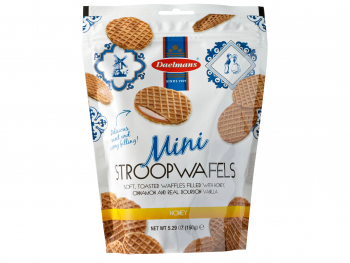 You can use these mini stroopwafels, and also the midi size, as decoration on your baked goods. We have a few recipes to help you out with that baking as well. If you have a good idea for a tasty recipe, be sure to let us know. 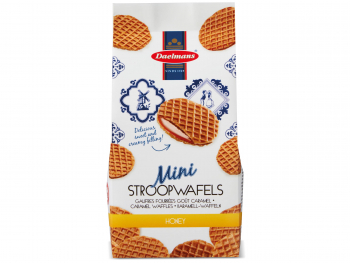 You can put them on your table as a snack for friends and family, but they also taste great alongside a cup of coffee or tea. 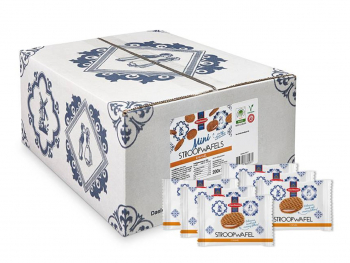 These mini stroopwafels can help you put a smile on the face of friends and family, and even customers! 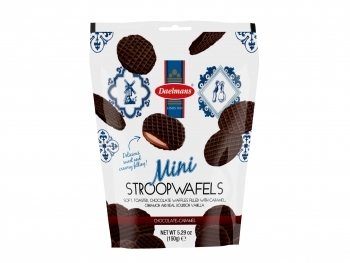 Whether you like our stroopwafels individually wrapped, mini or midi sized, in cello bags of 25 mini’s or in a classy gift tin for someone special, you can find it all here!